It was on the strength of the rigging machine rolled out by Jega in 2015 that analysts have been considering how the 2019 presidential election will be won and lost. A rigging machine was invented four years ago. The chief inventor was Attahiru Jega, the then chairman of the Independent National Electoral Commission (INEC). The major feature of the machine was numeric. It has the capacity to juggle with figures. It can reengineer the universe with numbers. Its pioneer assignment was the 2015 presidential election. an informed prediction on the way the political pendulum would swing. Even as seating President, Jonathan, bereft of any formula to win a return ticket to the presidency, relied heavily on assumptions and presumptions on how the states would vote. But we are all living witnesses to how the permutations failed. all the leeway to roll the machine into the electoral space, with many not knowing what it was all about. With this novel machine, Jega foisted a rigging formula that was yet unknown in Nigeria’s electoral history. The starting point was the mystification of Kano. Jega’s commission packaged and sold the northern state as a behemoth. It mystified Kano and its population, giving the impression that the numerical strength of Kano can compete favourably with that of the entire South-East. The strategy of the machine was to over-populate or under-populate at will. It applied whichever formula suited the situation for which it was invented. The machine was imbued with a huge power of lies and falsification. This notorious quality was forced through the 2015 elections in order to give Buhari a winning edge over Jonathan. By the time the machine went to work, Buhari coasted home with over two million votes while Jonathan garnered a paltry 200,000 votes. The machine also rolled out ridiculous figures in some other northern states such as Kaduna and Katsina. It was at that point that Jonathan realised what struck him. He was decapitated. It was too late in the day to cry over spilt milk. as Nigerians make efforts to put the issues in a straitjacket, there appears to be a sus- tained effort to make the numerical myth woven around Kano by Jega and his gang of manipulators a permanent feature of our electoral history. The myth is being forced down the throat of Nigerians. We can trace the mystification of Kano to the 2006 census. The census conducted by a northern oligarch, Samuila Makama, returned Kano as the most populated state in Nigeria. Makama’s National Population Commission gave the population of Kano as 9,383,682 while that of Lagos stood at 9,013,534. But Nigerians were not deceived. They knew that the figures were contrived. But what is worrisome now is that the falsehood planted by Makama is being watered and nurtured by northern irredentists. That was why Jega played with figures in 2015. Using the permanent voter card, another major feature of the machine, Jega added or deducted figures at will. Those who are not yet conversant with the power of the machine are still wondering how a state like Imo, for instance, which returned over 1.3 million votes in the 2011 presidential election, ended up with a little over 500,000 votes in 2015. It was a case of deliberate depopulation all aimed at arriving at a predetermined outcome. The manipulative power of the machine in 2015 was all too glaring. The lie was too bare-faced not to be noticed. The reckless allocation of figures based on the number of PVCs allocated to states was the catch. It was Jega’s ultimate rigging formula. For those who do not know, let it be known that the Kano magic. which Jega deployed to advantage in 2015, is being rehearsed again for the 2019 elections. The other day, the All Progressives Congress (APC) told Nigerians that its direct primary election in Kano returned 2.9 million votes to Buhari. If APC members alone can return nearly three million votes to Buhari in a primary election, then we should expect that the whole of Kano, irrespective of political party affiliation, will give Buhari over 10 million votes in the 2019 presidential election. What APC has given us from Kano is a mere dress rehearsal. It is a tip of the iceberg. It is the sign of things to come. It was on the strength of the rigging machine rolled out by Jega in 2015 that analysts have been considering how the 2019 presidential election will be won and lost. The second term bid of Buhari, a northwesterner, is usually the starting point of such analyses. The North-West, where Buhari comes from, has the highest voting population, according to INEC. It was this huge voting population that Jega deployed masterfully in 2015 to defeat President Jonathan. The calculation now is that anybody competing with Buhari in 2019 will have the North-West’s voting population to contend with. It is reasoned that Buhari could use the voting strength of the zone, particularly that of Kano State, to cancel out whatever disadvantage that he may have elsewhere. To deal with this set-up, many analysts have argued that the easiest way to clip Buhari’s wings would be to square him up with another northwesterner in 2019. They reason that, if that is done, Buhari would not have a field day in Kano as he did in 2015. However, many do not agree with this permutation. As a matter of fact, the outcome of the Peoples Democratic Party (PDP) presidential primary suggests that pundits do not think that Buhari’s zone will confer him with a special advantage once the right candidate is chosen by a serious and focused political party. In this regard, the PDP has stepped out to be counted. It has chosen Atiku Abubakar, a northeasterner, for the top job. The question then is: where does this lead Atiku, the PDP and Nigeria? 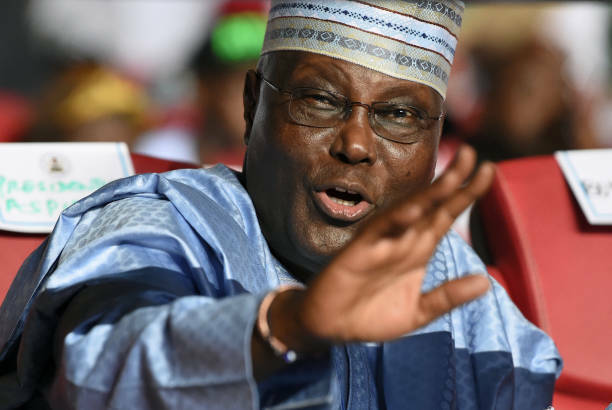 In addressing this issue, many are of the opinion that Atiku has the reach, the charisma, and the drive to do battle with Buhari in the North. They argue that an Atiku with his network of contacts can break into the North-West and leave Buhari’s support base decapitated. Essentially, Atiku, given his level of exposure, is believed to be strong everywhere in the North. No part of the North will likely discriminate against him. And considering the fact that both Buhari and Atiku are Muslims, they can swim comfortably in the ocean of religion without any one of them feeling disadvantaged or cheated. Given this scenario, the deciding factor becomes the south of the country. We shall x-ray this in the weeks to come.